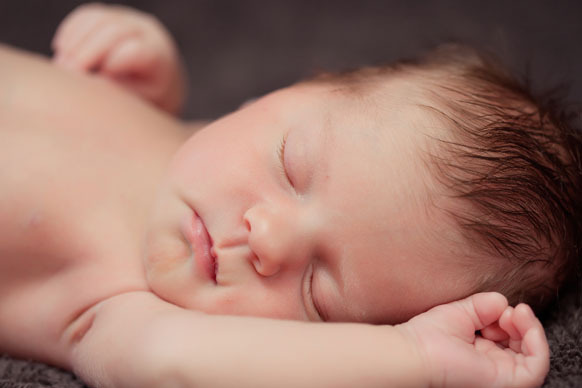 Hirsch Pediatrics welcomes new parents and newborn babies. Most importantly you should know that I love being in a solo practice and developing a long-lasting relationship with your family. I pride myself in the unparalleled access and quality of care your family will receive. When you call us, the phone is answered by a friendly voice and not a recording. When your child has an appointment, you will be seen by the one doctor that knows you the best and not rotated around to other doctors or nurse practitioners. When you need to ask Dr. Hirsch a medical question, we are very accessible by e-mail through your secure Patient Portal account. When you need a sick visit appointment, we have openings every morning and afternoon. When you need urgent medical advice after hours, all Hirsch Pediatrics families have access to my personal cell phone because when your child is sick, you need to speak with the doctor who knows your family the best and not an answering service or rotating call group. We take pride in providing the highest quality care for your child without charging your family an annual fee or form fees. As your family’s medical home, our “no extra fees” policy will save your family between one to two thousand dollars over the span of your children’s pediatric care. Hirsch Pediatrics strongly supports breastfeeding, and we are pleased to provide our own “in-house” lactation consultant, Sharon Curry. Sharon was chosen for her exceptional ability to connect with nursing moms. Her compassion and warmth ensure every new mom is treated with respect and care. Working with Sharon, we designed The Hirsch Pediatrics Thriving Baby, Healthy Mom Program to provide support to breast feeding moms and to promote successful nursing and bonding. All new moms are welcome to meet with Sharon for an initial extended 90 minute appointment and as many follow-up appointments as needed. All office appointments with Sharon are covered in-network with your insurance. Hirsch Pediatrics is also offering FREE prenatal breastfeeding classes to any expecting parent and partner. Please click here for more class information and how to register. We accept most insurance plans including Blue Cross Blue Shield, CareFirst, Aetna, Cigna, United, Adventist and Tricare as well as a discounted fee schedule for our self-pay patients. We do not accept state insurance plans. Please see the insurance page on our Patient Resources page for more information or call us if you have questions. We also take pride in providing the highest quality care for your child without charging your family an annual fee or form fees. As your family’s medical home, our “no extra fees” policy will save your family between one to two thousand dollars over the span of your children’s pediatric care. Hirsch Pediatrics offers a “pre-natal” meeting for expecting parents who want to meet Dr. Hirsch and learn more about our practice. During these meetings, you will have a chance to ask any questions about the office or your pregnancy as well as tour our unique office space. These interviews are scheduled every other Wednesday from 5:00 PM- 5:30 PM and space is limited to 5 families per session. Please arrive by 4:45 PM for registration. Please call us to reserve your spot in an upcoming session. If you have chosen Hirsch Pediatrics, please give us a call so we can add you to our Expecting Parent list and answer any questions. 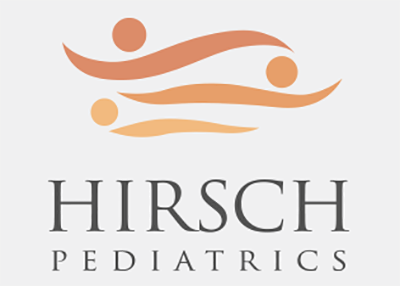 Hirsch Pediatrics has made arrangements with all local hospitals to have the Hospitalist Pediatrician look after your baby until he or she is ready to go home. As soon as possible after your baby is born and before going home, please call our office to schedule your first appointment. This appointment at Hirsch Pediatrics is usually 1-3 days after leaving the hospital. Please see the Patient Resources page for a description of all of the appointment types offered at Hirsch Pediatrics as well as your child’s check-up schedule.